Why Do So Many Internet Startups Fail Today? Everyday out there in the real brick and mortar world, millions and millions of people drag themselves from the warm, warm beds, take a shower, grab a cup of coffee, and head off to their jobs as they are thinking that there has got to be an easier way to make a living. Every one of those millions and millions of people knows somebody who has quit the ‘get-up-and-go-to-work’ grind and is making a very good living by working on their personal computers from the comfort of their own homes. Working from home sounds like an ideal solution to them. Many of these dissatisfied souls will quit their jobs and plunge head-first into internet marketing with no preparation, no knowledge of what they are doing, no education, and no hope of success. Failure is their only option and they don’t even suspect. The fact is that according to many sources, more than 90% (Ninety percent) of all Internet business start-ups end in failure within the first 120 (one hundred twenty) days. Yes, you read that right. NINETY PERCENT! This failure rate should be a warning to those who are considering trying their hand at making a go of working on the Internet rather than at a job in the brick and mortar world. Of course, success is possible. There IS that other 10% (ten percent) that do succeed. The thing is success doesn’t happen by accident. And success isn’t just a crap shoot. Success happens because of some very important factors. Success happens because people have the right ideas about internet marketing and how it works. They do not expect to get rich quick or be able to make a killing over night and retire to a tropical isle. It is strange but somehow the same people who wouldn’t dream of starting a real world business, think they can make a go of an internet business even though they have no business background. People will go into an internet business with the idea that they no longer have to get up and go to work. They think they can simply work when the feel like it and still make a good living. They simply do not expect to have to work hard or work long hours. The 90% failure rate of new Internet businesses really isn’t all that surprising when you stop to think about the people who are starting internet businesses. For some unknown reason most people think that running a successful internet business is as easy as getting a website built and hanging out an ‘open for business’ sign. They couldn’t be more wrong. Running a successful internet business of any kind requires self-discipline. People will start an internet business and think that they can party all night, sleep until noon and then make a living in 3 or 4 hours sitting in front of a computer. They somehow think that the world is just going to line up on their website and hand over money. It isn’t going to happen. Internet businesses do not run on auto-pilot. It is true that well established internet marketing gurus do not have to put in long, tedious hours on their businesses but it is a privilege that that has been earned by putting in a lot of long and tedious hours. It didn’t happen overnight for them and it won’t happen overnight for anybody. Most people are totally unprepared for the time investment that must be made in order for an internet business to become successful. All businesses have two things in common. They are BUSINESSES and they must be run like businesses! The people who are in charge of a business need to understand the accepted practices of business. They need to understand simple and basic ideas like acceptable over-head expenses in relation to projected income. Internet entrepreneurs need to understand profit and loss and what constitutes each. A college degree in business in not essential for an internet business entrepreneur go be successful but it sure wouldn’t hurt. Just some basic business knowledge is absolutely vital.f you have a hard time balancing your personal check book, you probably should keep your day job and forget about starting an internet business. It is true that you can hire accounting firms that will tell you WHEN you must make tax deposits, for example, but these firms will not be able to tell you IF you need to make them. Accounting firms can tell you whether or not you made a profit but not how to make it. If you have no business background you need to, at the very minimum, get some good business advice before you even consider opening an online business. The fact is that all successful businesses operate on sound business principles. Successful businesses aren’t accidents. The proof is in the numbers. 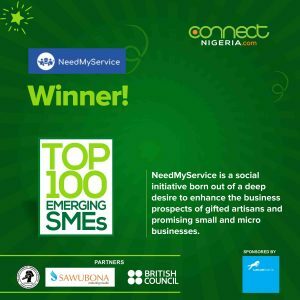 only 10% of new internet businesses are successful or are even still in existence after the first 120 days of operation. It is not even reasonable to expect to make a profit from a new business enterprise for many, many months. You must have sufficient resources available to not only launch your business but provide for your own personal needs for an extended period of time. It’s called ‘capital’ and there is no way around the need for enough of it. The Right Mindset Just Isn’t There! You have most likely heard the phrase, ‘He has an attitude!” This is usually a derogatory remark made about a person with a disagreeable attitude. But the word ‘attitude’ is an important one when discussing internet marketing start-ups. A good attitude…a good mind set can’t insure success but a bad attitude and a bad mind set can certainly guarantee failure. I can work when I want to. Wrong, wrong, wrong! You can’t just work when you feel like it. You have to expect to put in many long and very tedious hours of very hard work to make a new internet enterprise succeed. I can get rich quick! You couldn’t be more wrong and you are not only wrong but you are putting yourself in danger as well. There are bazillions of crooks out there on the internet who are waiting for their next easy mark and if you are looking for a quick way to get rich, you ARE the next mark. It is possible to make a very comfortable living with internet marketing enterprises but if anybody ever tells you it is quick or easy, they are lying to you. I don’t need a business plan. There you are…wrong yet again. Internet business is still business. All of the same business principles apply to online business as apply to brick and mortar business. It is imperative that you have a plan for success that is based upon these sound business principles. When you have an internet business of your own, you don’t have a boss. Wrong again! You are your boss. If you aren’t a good boss who sees to it that work is accomplished on time and in full, you will doom yourself to certain failure. Unless you are a boss who sets up a working schedule and establishes goals that must be met, you will find yourself working at a job under a boss who does do those things and maybe for minimum wage. The thing about starting a business…any business…..is that there is no guarantee of success under any circumstances. Even big international businesses can fail at new business ventures. Failure is always an option but the possibility of success can be optimized. Having a good solid business plan in place BEFORE you launch your online business. There is an old saying: “Those who fail to plan, plan to fail”. A detailed set of plans for success needs to be made. You need to have the steps from getting from point A to point B listed in great detail that include realistic cost estimates for accomplishing each step. Expecting to work very hard to accomplish your goals. You must never expect anything to be easy. You will be right most of the time because things are rarely as easy as they look. Each step toward success requires work, time and patience. Sometimes things don’t work out right on the first try. You have to be willing to try again and again until you do succeed. Not falling for ‘get-rich-quick schemes. The internet woods are full of those who prey upon those who are looking for quick and easy ways to become rich. Those ways do not exist. Get over thinking that there is an easy way. There is NOT. Remember those statistics! Ninety percent of all new internet businesses fail in the first 120 days. You don’t have to be part of that majority. You can become a part of that 10% minority of successful internet business enterprises.